 Tours – 2 Silos Brewing Co. Looking for information about our future tours? Public Tours are available on most Friday evenings, Saturdays and Sundays, but are subject to cancellation due to production and event schedules. Public Tours also include a standard pour of one beer after the tour. Tickets for Public Brewery Tours are only available the day of the tour and can only be purchased in person. A guest can purchase as many tickets as they want. We are not able to accept reservations in advance and apologize for any inconvenience this may cause. Tickets are $8 and can be purchased from the Host Stand in The Pour House tasting room. Private Tours are available for a minimum of 8 guests on Tuesday – Thursday evenings as well as Saturdays and Sundays. Private tour packages also include a standard pour of one beer after the tour as well as a souvenir 2 Silos glass. Reservations are required for Private Tours and can be made by completing the form below or calling the brewery. Tickets are $15. Each Guest must sign a waiver in order to enter our production area. You must be 16+ years of age and accompanied by a parent or legal guardian to attend a tour and 21+ years of age to receive the standard pour after the tour. We allow up to 12 people per tour. 2 Silos Brewing tours and indoor and outdoor. Please dress accordingly. Tour guests must wear closed toe shoes, and high heels are not permitted. We will provide each guest with a pair of safety glasses that are required in the production facility.